Eiger, Mönch, Jungfrau and the Matterhorn are just a few highlights on the breathtaking scenic flight. 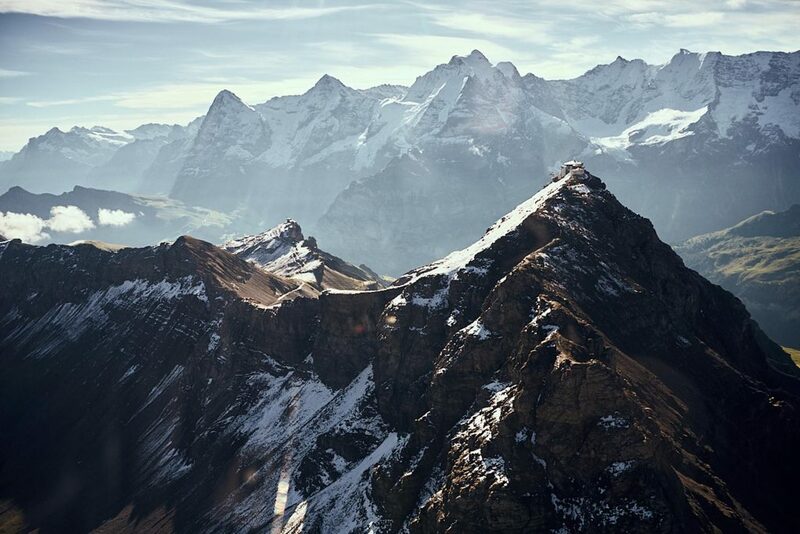 Experience up close Switzerland´s most famous and impressive peaks. Flying over the Albis and Lake Zug, we are heading for the beautiful Lake Lucerne. 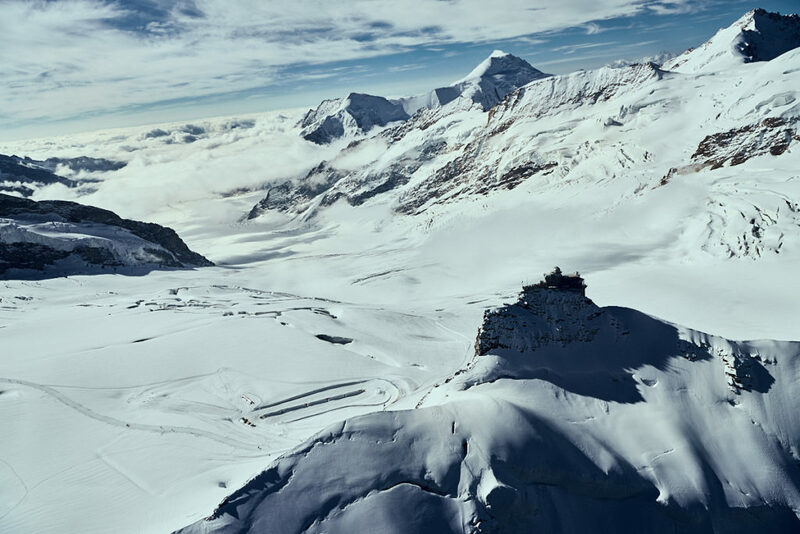 Then passing by the Pilatus, the route takes us along the Brünig Pass and the Grosse Scheidegg to the Eiger North Face, probably the most historic mountain wall of the alps. Now we are captured by the magic of the 13000ft high peaks of the Bernese Alps. Passing by the Mönch we are flying over the Jungfraujoch and heading for the Concordia Place and the Great Aletsch Glacier. Beneath us lies a wonder world of ice, snow and rocks. 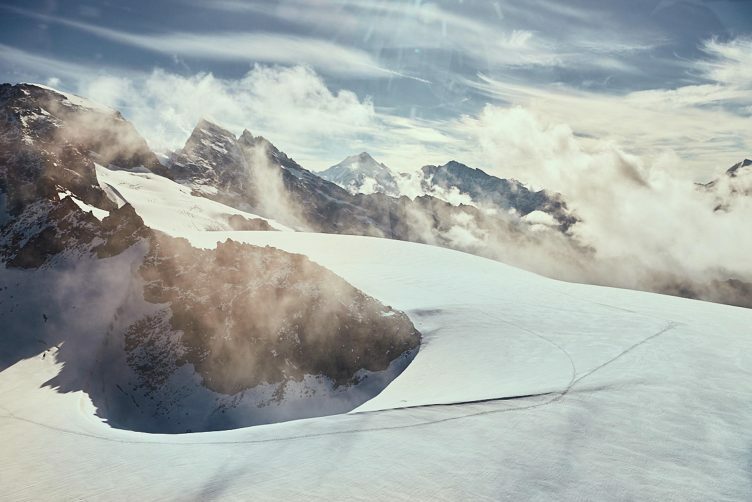 Surrounded by 32 mountains higher than 13000ft, the Great Aletsch is with 14 miles the largest glacier of the alps. 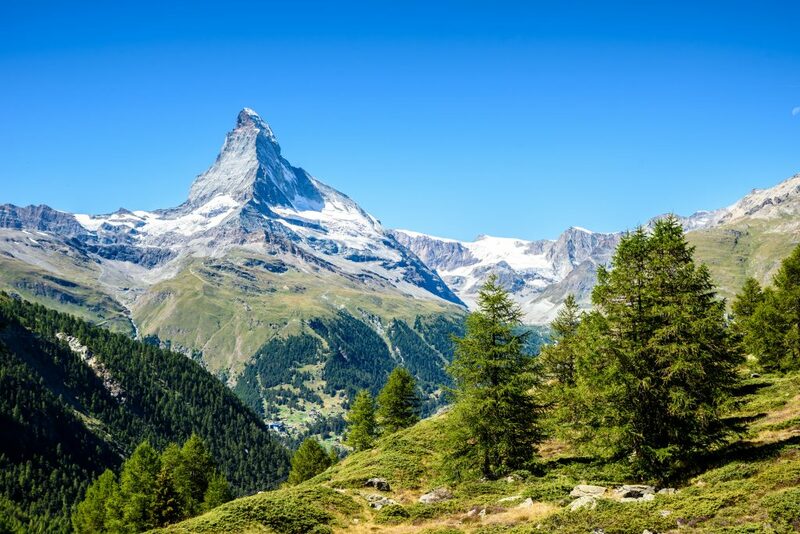 Continuing our journey we are crossing the Rhône River Valley and on the horizon emerges the fantastic skyline of the Valais Alps with the distinctive outline of Switzerland’s most famous mountain, the Matterhorn. Enjoy the unique perspective and spectacular view as we are flying a full circle around its impressive peak. Heading back to Lake Lucerne, we are following a different route that takes us along its western bank of Uri. From here you will have a good view on to the Rütli meadow, where on August 1st 1291 the foundation of the Swiss Confederation was sealed with the Rütli Oath. To the left the Rigi rises, fondly called by the Swiss ‘The Queen of the Mountains’. We are continuing along Lake Zurich and its Gold Coast and starting our descent towards Zurich airport where this marvellous flight ends. Daily in good weather conditions. Please inquire for date and time. Transfer from General Aviation Center (GAC) to the heliport. Passport, sunglasses, camera, sun hat and no open toe shoes please. Cat’s Corner at ground levelGeneral Aviation Center.